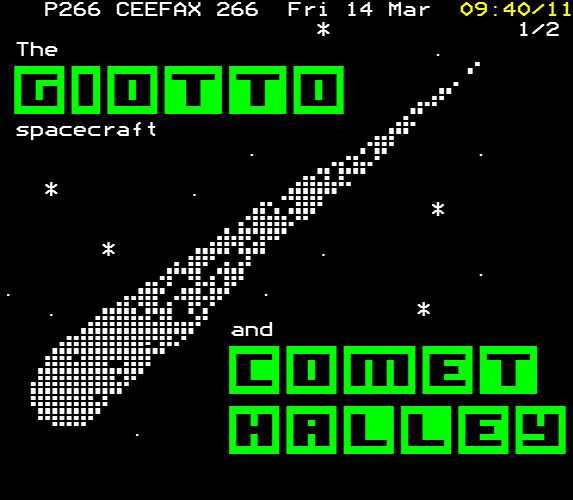 Teletext is a medium where encoded pages of information are broadcast alongside a television programme, and can be decoded on-screen by the viewer at the touch of a button. Developed in the UK in the early 1970s, the last British teletext service was discontinued in the mid-2010s but teletext is still used in many countries around the world. 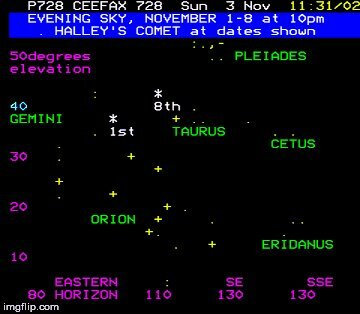 Once broadcast, teletext was generally overwritten on the server and the archive status of teletext pages is patchy at best, with (at least in the UK) only a few examples of pages saved by the broadcasters and some pages saved by the public using PC decoder cards. This website covers efforts to recover teletext pages from television programmes recorded on regular domestic videotape and other methods. The Teletext Archaeologist archive consists of pages ranging from 1976 until 2018 and is continually expanding. …can you help to plug the gaps? First-generation copies are best – copies do blur the teletext signals recorded on the tapes. But if you don’t want to part with original tapes then a good quality dub can still be useful as long as it hasn’t been through a time-base corrector – these can overwrite the teletext data with their own signals. Please do get in touch via the contact section below! Jason Robertson has been recovering teletext pages from videotape since 2012 and archiving them since 2010. He is also a TBS Editor and also ran the Transdiffusion-affiliated website sub-TV, which covered ATV and schools presentation.